Yesterday, we reported on Apple's opening of a new technology hub in Oregon, along with the hiring of several former senior Intel engineers. 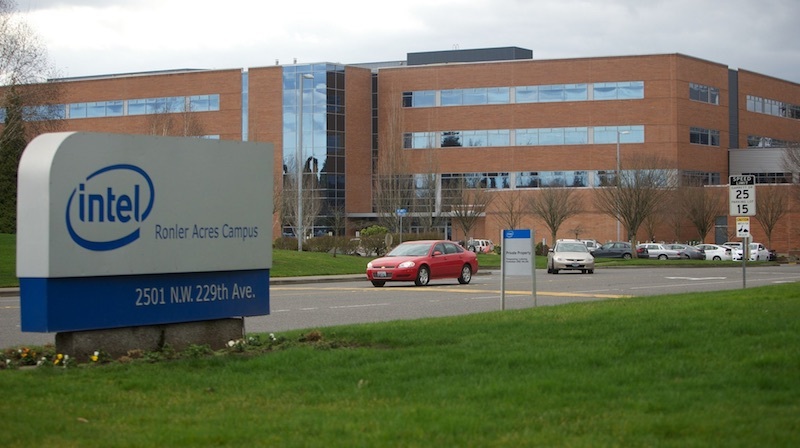 Oregon is the site of Intel's Hillsboro facilities, featuring the chipmaker's leading-edge 14 nm and 10 nm foundries, as well as CPU design expertise for desktop-class processor thermal budgets. A search of Apple's open positions indicated there were several openings for hardware engineers with backgrounds in computer architecture and silicon verification. Digging deeper into these job positions reveals keywords indicating performance validation in non-iOS workloads, as well as a heavy focus on memory concepts such as memory controllers, memory hierarchy, and cache coherency protocols. The focus on the memory subsystem is significant because this is one area where mobile device and PC form factor usage models differ based on their power consumption profiles, along with PCs featuring tools that can stress a memory system in ways not typically seen in mobile device workloads. PC systems also tend to feature much higher memory bandwidths, due to both wider memory busses and higher memory clocks. Apple is often rumored to be working on an ARM-based MacBook, but such a device would likely feature some variant of LPDDR memory seen in Apple's mobile devices, as well as Apple's entire line of MacBooks. This means that Apple already has the necessary memory controller designs to interface with LPDDR memory. Apple is also no stranger to the 128-bit memory busses seen in MacBook Pros with LPDDR3 RAM, along with previous iPad iterations featuring a 128-bit memory bus. Given this information, the focus on memory subsystem could indicate a higher performance target for the memory system, with memory bandwidths more reflective of desktop or workstation class devices where memory bandwidth can reach into the hundreds of gigabytes per second. Perhaps the most demanding component of a memory subsystem in custom SoC destined for macOS devices is the GPU. On the iOS side, Apple recently shifted from licensing Imagination Technologies' family of PowerVR GPUs to designing its own custom GPUs. Additionally, Apple's Orlando-based GPU design center has gone through several hiring spurts, and is also hiring now, including a position for a platform architect aimed at creating a family of GPUs across multiple Apple platforms. The inclusion of a GPU on an Apple custom SoC destined for macOS devices would need several gigabytes of dedicated RAM, with memory bandwidth well into the hundreds of gigabytes to run modern games on the Retina screens featured in many Mac products. Depending on the die size allocated to its solution, Apple could potentially replace the Intel chips with integrated graphics in its lower performing MacBook products or even replace the dedicated GPUs found in its higher-end notebook offerings. Desktop-class machines would likely need a separate discrete GPU due to power and cooling constraints, as well as allowing a general ramp-up of GPU sizes and complexities. For comparison, the CPUs and APUs with integrated graphics found in modern notebooks and desktop systems are typically in the 200–400 mm^2 die size range, whereas Apple's mobile solutions tend to hover around 100 mm^2. 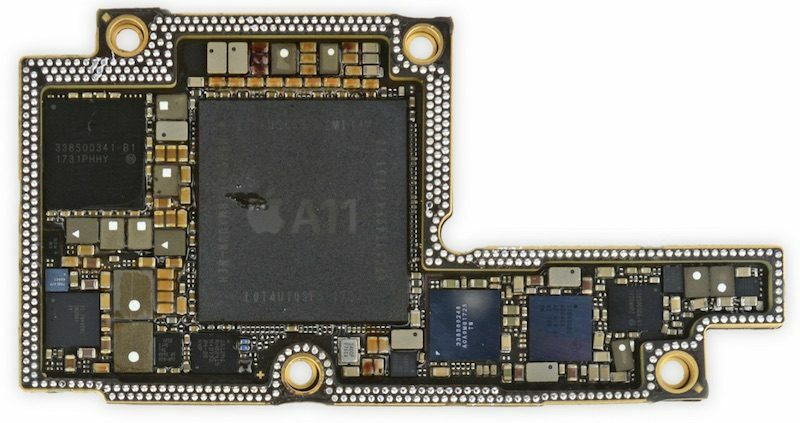 Apple has already achieved performance rivaling Intel CPUs featured in laptops with its latest A11 chip, and allowing its designs to scale up in core counts and power consumption would help it compete with the higher core count CPUs featured in today's higher performing notebooks and desktops. Additionally, Apple is well positioned to take the leap into higher performing products after demonstrating several generations of custom CPU architectures, including its own instruction set extensions to the underlying ARMv8 ISA. Apple was behind the genesis of the effort that would eventually become ARM as we know it today, and its architecture ambitions have been clear for quite a while. The question of custom Apple-designed CPUs destined for notebooks and desktop systems seems less a question of capability, and one more focused on will and perceived market advantage. I know it's quite a hassle to switch CPU architecture, but this seems really exciting to me. Kinda feels like the old Apple. Apple only seems motivated by making mobile phones - each new model just slightly faster and incrementally improved but essentially not radically different. When you consider the golden age of Apple between the early 1990s and early 2000s we got new and exciting computers with radically new designs and interfaces. Apple just plays it safe now. You're the first person I've ever seen include the 1992-1997 time period in Apple's golden age. You do realize that Apple almost declared bankruptcy, right? If it means lower prices for the low-end Macs, I'm all for it. Let's get the next "Mac mini" down to USD$400 and the next "MacBook Air" to USD$600. Keep dreaming. Much more likely that lower component costs will mean fatter margins on each unit sold. New Apple strategic thrusts are usually not revolving around lowering prices for consumers. Well, the transition from PowerPC to Intel in 2005/2006 could have been worse. So Apple definitely has some experience in this area. Curious what will happen. The magic there was from a third party who provided Rosetta. Rosetta made the transition much less painful because it could fake the non-Apple software until maybe the developers of that software evolved a version for the Intel platform. Is there a Rosetta 2 out there to facilitate this kind of transition- something to run X86 software well on ARM hardware? I'm not aware of something like that this time. That doesn't mean it does not exist but I wish there was some Transitive-like entity ('https://www.cnet.com/news/the-brains-behind-apples-rosetta-transitive/') out there that ALREADY has such a capability working. If there is no Rosetta 2, there will be migration pain that could last years for those that lean on Mac software NOT created in house at Apple. Adobe? Microsoft? Etc. We should not delude ourselves into believing that such entities can simply recompile and their software will run fine on A-Series Macs. Even with the bridge of Rosetta, it took those kinds of companies a couple of YEARS to transition to Intel Macs. We should not fool ourselves into believing it's basically some kind of flip-a-few-switches proposition. There will be pain... especially if there is no Rosetta 2. And it probably means one well-designed computer able to double as both a Mac and a PC probably forks back into needing 2 computers for that. Personally, that would be VERY unfortunate for work purposes, leading to probably having to buy a Windows machine since the bulk of the working world runs on Windows. For travel now, I can take one laptop to cover all bases (this is somewhat secretly one of- if not- the VERY BEST features of a working Mac computer). Working Mac travel in this "the future" probably means having to choose one laptop rather than lug along both. Take the Mac and likely be pretty incompatible with just about any business client's IT or take a Windows computer and likely better fit in? But let's keep imagining that A-Series Macs will significantly up the CPU power while significantly lowering retail prices and stick it to Intel at the same time. And then lets further hope that the Apple that neglects Macs for upwards of years at a time will find new motivation to regularly upgrade them when upgrading adds the tasks of developing new CPUs too instead of just using CPUs created by an expert vendor heavily focused on exactly that. And let's imagine that all the non-Apple software that we may lean on regularly can be upgraded to "just work" in only a day or three, perhaps with simple recompiles or similar so that we don't find ourselves waiting for months or years to finally get a version- if the devs even opt to bother for such a smallish niche- that works with a proprietary platform. Not being a fanboy here. I'm not super happy with Apple because of the lack of quality on iOS and my Mac's keyboard needing to be replaced three times in the past 1.5 years. But, if Apple does it again, you're right – they know what they are doing. I personally think them transitioning would allow us to see some badly needed innovation on the Mac. Personally I wouldn't touch a Mac that couldn't do x86 virtualisation; but it could be very interesting for low-end, long battery life Macs. I remember when the PPC transition was rumoured and there was much angst amongst the Apple faithful. PPC Macs couldn’t even run Windows at the time (one of the big worries this time round is not being able to run Windows). In fact, much of the angst was that Intel were seen as part of the enemy (Wintel). However, very quickly the Apple faithful were ok with it all as the machines were fast and Rosetta worked really well. I think that that will be the case this time too. Especially when laptops with double (maybe even triple) the battery life are unveiled. Let's reinvent the CPU. I hear the wheel could also see some improvements.